Sure, having a baby can be a huge drain on your finances. Yes, having a baby will seriously impact your 8-hours-a-night sleep-plan. And, of course, you may as well forget about any sort of social life you may have had. But a baby also brings with it new possibilities – including a whole new world of tech you were probably never even aware of. 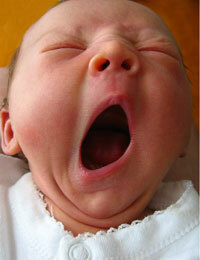 Tech like the range of baby monitors announced by VTech. 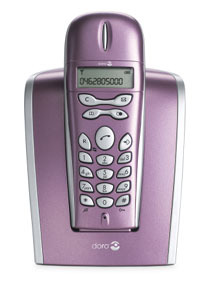 VTech has taken its expertise in telephony technology and applied it to the range. Technology such as the DECT (Digital Enhanced Cordless Telecommunication) and HD sound, which guarantees crystal clear sound and zero interference from any other device. 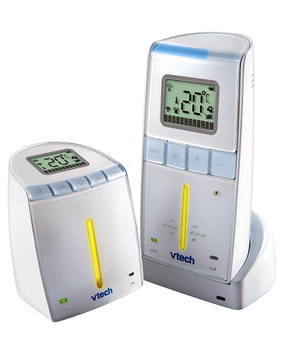 First up is the VTech Clear Sounds Digital Baby Monitor Deluxe which includes a temperature sensor with set limits to allow parents to ensure the best temperature for their baby’s sleep. The parents can talk to their baby via the monitor as well as recording songs. There are 50 pre-recorded melodies, including 4 sung-songs and gentle nature sounds. There’s also line-in for an MP3 player. I hear babies love The Prodigy. The VTech Clear Sounds Digital Baby Monitor Deluxe is £69.99. There’s also a non-Deluxe version available that’s £20 cheaper. You don’t get the temperature sensor or the LCD display and there’s only 20 melodies and just a solitary sung-song but, come-on, it’s cheaper. 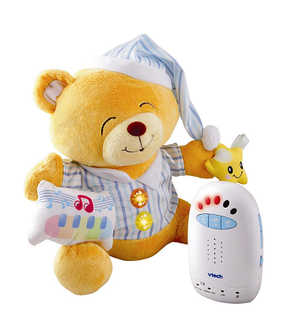 The pick of the bunch, as far as baby will be concerned, is the VTech Sleepy Bear Digital Baby Monitor. You see, for this model baby gets a teddy-bear based monitor. It’s got the same DECT technology as the Clear Sounds models and comes with 30 melodies including two sung-songs as well as those gentle nature sounds. There’s also a soft, glowing night-light that should help baby drift off to sleep. Parents can even activate features without disturbing their little one’s sleep, as the portable parent unit operates the monitor remotely. If you’ve got babies or you’re expecting one soon then these could be just the job for you. Get them direct from VTech. If you haven’t got babies and you’re not planning on having them some time soon, then you really have to ask yourself why you’ve just read this post. That’s five minutes of your life you’re never going to get back. Time to get excitied, ladies! The Doro 525 is pink, which means it’s for you. He’s not allowed near it. His big, dirty hands would crush it in seconds and leave a nasty brown residue down the side of its sleek, curvy buttons. He would also make it smell of sweat and feet AND take it into the toilet.